What is the SEO Alphabet? SEO can be hard to master with a constant stream of changes and updates hitting the industry day in, day out. Throw in all the SEO jargon and it becomes a minefield. So for yours and sometimes our benefit, we have produced this comprehensive ultimate guide to the SEO alphabet and related terms. Covering both technical SEO and marketing terms/phrases. Please Note: we have not included the list of algorithms here as that is an exhaustive list. AdWords – Adwords is Google’s advertising platform where advertisers can get valuable insights about those keywords on which they want to bid. Affiliate Marketing – An affiliate site markets products or services that are actually sold by another website or business in exchange for fees or commissions. Ahrefs – Ahrefs is a multinational team with roots from Ukraine and headquarters in Singapore. We are truly a lean start-up company. We value making meaningful and easy-to-use products. We shift things fast to better deliver our customers with what matters most to them, and to keep us ahead of the game with the manifesto “First do it, then do it right, then do it better”. Algorithm – Search Engines’ methods of ‘weighing and measuring’ a webpage in order to rank appropriately. Used to rank websites. Google’s algorithm uses a patented system called PageRank to help rank web pages that match a given search query. The PageRank algorithm computes a “score” for web pages, based on a weighted sum of the pages linked to them. This is why backlinks are very important. All In One SEO – one of the most popular SEO plugins used in WordPress. Alt Tags – Alt tags are used to optimize images from SEO POV. Alt tags describe an image to let the users and search engines know what the image represents. Alt Text – A description of a graphic, which usually isn’t displayed to the end user, unless the graphic is undeliverable, or a browser is used that doesn’t display graphics. Alt text is important because search engines can’t tell one picture from another. Alt text is the one place where it is acceptable for the spider to get different content than the human user, but only because the alt text is accessible to the user, and when properly used is an accurate description of the associated picture. Special web browsers for visually challenged people rely on the alt text to make the content of graphics accessible to the users. Analytics – A program which assists in gathering and analyzing data about website usage. Google analytics is a feature-rich, popular, free analytics program. Anchor Text – A visible and clickable text in a hyperlink. Search engines use anchor text to indicate the relevancy of the referring site and of the link to the content on the landing page. Ideally, all three will share some keywords in common. Authority – (trust, link juice, Google juice) The amount of trust that a site is credited with for a particular search query. Authority/trust is derived from related incoming links from other trusted sites. Authority site – A website which has many incoming links from other related experts/hub sites. Because of this simultaneous citation from trusted hubs an authority site usually has high trust, PageRank, and search results placement. Wikipedia is an example of an authority site. B2C – Business to Consumer. Backlink – these are incoming links to a website or web page. The number of backlinks is one of many indicators of a page’s popularity and importance. Search engines, like Google, use the number of backlinks to measure and determine a web page’s ranking in search results. Backlinks can provide different amounts of value to a page. If the link is from an authoritative site on a relevant topic, it will have a stronger influence on rankings. If you link to irrelevant or suspicious sites, it will only hurt your rankings and this will score your website down. Backlinks are the backbone of off-page optimization. Interlinking different websites to point to a single website and give it referential authority is how websites get crawled, pointed, and ranked. Backlinks are, in themselves, incoming hyperlinks. More high-quality backlinks = Higher search engine ranking. Bing – The Microsoft Search Engine. Bing is a web search engine owned and operated by Microsoft. Blackhat – All black hat practices are against the search engine’s guidelines. Blog – A blog is a frequently updated web page or a collection of informative posts. These posts keep visitors on the page and therefore help the site to rank better. Body Keywords – Body keywords are 2-3 word phrases that get decent search volume (at least 2,000 searches per month) but are more specific than Head Keywords. Bounce Rate – Bounce rate is the percentage of visitors who come to your website but exit without visiting any other page. Bounce rates should be low for getting good results in SEO. Bread crumbs – Web site navigation in a horizontal bar above the main content which helps the user to understand where they are on the site and how to get back to the root areas. Canonical Issues – (duplicate content) canon = legitimate or official version – It is often nearly impossible to avoid duplicate content, especially with CMSs like WordPress, but also due to the fact that www.site.com, site.com, and www.site.com/index.htm are supposedly seen as dupes by the SEs – although it’s a bit hard to believe they aren’t more sophisticated than that. However these issues can be dealt with effectively in several ways including – using the noindex meta tag in the non-canonical copies, and 301 server redirects to the canon. Canonical Redirect – The rel=canonical element, often called the “canonical link”, is an HTML element that helps webmasters prevent duplicate content issues. It does this by specifying the “canonical URL”, the “preferred” version of a web page – the original source, even. Using it well improves a site’s SEO. Citation – where your business is listed on a directory or forum and externally references your website. Cloaking – The practice of delivering different content to the search engine spider than that seen by the human users. This Black Hat tactic is frowned upon by the search engines and carries a virtual death penalty of the site/domain being banned from the search engine results. CMS – Content Management System. Used to create and manage HTML content and workflow in an online, collaborative environment. A CMS helps facilitate content creation, control, editing, and essential maintenance functions. Basically, it is a publishing platform on which to build a website. Many examples of CMS platforms include WordPress, Drupal, Joomla, ExpressionEngine, Crafter, etc. Content – at the heart of human-friendly SEO is the content itself. It has to be fresh, relevant, keyword-rich, and original to deliver the most human content. Superior quality content = Higher ranking. Conversion – A number of visitors who perform desired action on your website (buy a product, fill a form etc.). CPC – Cost per click, which usually goes by the acronym of CPC, has two different meanings. For a search engine, the term cost per click means how much the search engine charges advertisers each time a visitor clicks on a sponsored link. Cost per click can also mean the total cost accrued by the advertiser when the ad is clicked on, from just listing the ad to the additional cost of the click-through on the part of the visitor. The CPC can vary for a search engine and for the advertiser, based on the popularity of the keywords, as well as the basic price that search engines charge. The more popular the keyword, the more expensive the cost per click for the advertiser and the more money the search engine makes. CPM – (Cost Per Thousand impressions) A statistical metric used to quantify the average value/cost of Pay Per Click advertisements. M – from the Roman numeral for one thousand. Crawlers – Crawlers are Googlebots who scan websites to provide up to date data to search engines. Data Highlighter – Data Highlighter is a webmaster tool for teaching Google about the pattern of structured data on your website. You simply use Data Highlighter to tag the data fields on your site with a mouse. Deep Linking – Deep linking is a practice of building links with inner pages /blog posts as opposed to a website’s homepage. Directory – A directory is a collection of websites based on categories. Domain Authority – is a measure of the power of a domain name and is one of many search engine ranking factors. Domain authority is based on three factors: Age, Popularity, and Size. Duplicate Content – This is one of the black hat SEO techniques that’s sure to bring rankings down. It’s the opposite of original and fresh content. Content which appears at more than one place on the internet. Dwell Time – is an amalgam of bounce rate and time-on-site metrics – it measures how long it takes for someone to return to a SERP after clicking on a result (and it can be measured directly from the search engine’s own data). EAT – a metric Google is focusing on to help judge page quality. E-A-T is the shorthand Google uses in its Search Quality Evaluator Guidelines and it stands for ‘Expertise, Authority and Trust‘. For those who don’t know, the guidelines are what the people who manually review pages for Google use. e-Commerce site – A website devoted to retail sales. External Links – needed to generate traffic to your website from third-party web pages. The key is quality brought about by linking to relevant websites. It’s any link that points to any other website outside of where it comes from. External linking is a part of the process of backlinking. Links that point to an external website/domain. Follow Tag – Follow links are links that count as points, pushing SEO link juice and boosting the page rank of the linked-to sites, helping them go higher in the SERPs as a result. Also known as DoFollow Tags. 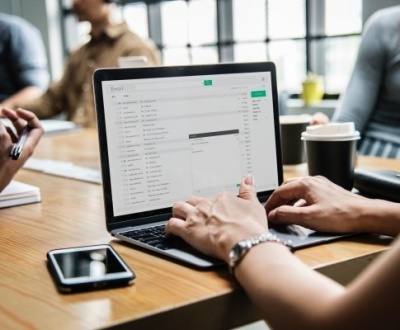 Forums – One of the best ways to create links as well as make dialogue about your website is through participating in forums, maybe even drop a few links if it’s necessary, too. Frames – a web page design where two or more documents appear on the same screen, each within its own frame. Frames are bad for SEO because spiders sometimes fail to correctly navigate them. Additionally, most users dislike frames because it is almost like having two tiny monitors neither of which shows a full page of information at one time. Fresh Content – needed to engage regularly with your visitors. Relevant and timely quality content is the key. Interesting and up to date content is important for frequent indexing of a website. FTP – The File Transfer Protocol (FTP) is a standard network protocol used for the transfer of computer files between a client and server on a computer network. Gateway Page – Gateway/doorway pages are designed for search engines to perform well for particular keywords. A web page that is designed to attract traffic from a search engine and then redirect it to another site or page. A doorway page is not exactly the same as cloaking but the effect is the same in that users and search engines are served different content. Google – the largest of all the Search Engines in the world. 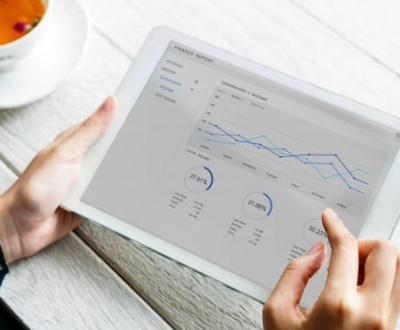 Google Analytics – is a freemium web analytics service offered by Google that tracks and reports website traffic, currently as a platform inside the Google Marketing Platform brand. Google launched the service in November 2005 after acquiring Urchin. Google Bomb – The combined effort of multiple webmasters to change the Google search results usually for humorous effect. The “miserable failure” – George Bush, and “greatest living American” – Steven Colbert Google bombs are famous examples. Google Dance – The change in SERPs caused by an update of the Google database or algorithm. The cause of great angst and consternation for webmasters who slip in the SERPs. Or, the period of time during a Google index update when different data centers have different data. Google Juice – (trust, authority, pagerank) trust / authority from Google, which flows through outgoing links to other pages. Googlebot – Google’s spider program. Google Search – People use Google to search for anything, so it’s extremely important to optimize your website for Google searches. GT Metrics – GTmetrix is a free tool that analyzes your page’s speed performance. Using PageSpeed and YSlow, GTmetrix generates scores for your pages and offers a perspective on the speed and performance of the website being analysed. Header Tags – A header tag is HTML code (H1, H2, H3, etc.) that is used to format text, define a page’s organizational structure, and simplify page navigation. As an identifier, the (H1) tag on your web site works just like a chapter title in a book. The text between (H1) and (/H1) should communicate exactly what that one page is all about and should include the keyword you are focusing on for this page. If there is further information or subsections on the page, you can use (H2), (H3), all the way up to (H6) heading tags to show hierarchical organization on the page. While it is OK to have multiple (H2) to (H6) tags, be sure to only use a single (H1) on any one page of your web site. Headings (H1-H6) are pieces of HTML codes which allow readers to know about a web page. Hits – A hit refers to the number of files (graphics, pictures etc.) downloaded on your site. .htaccess – Htaccess files are hidden plain text files that are on the server and are used to control how your visitors interact with your website. 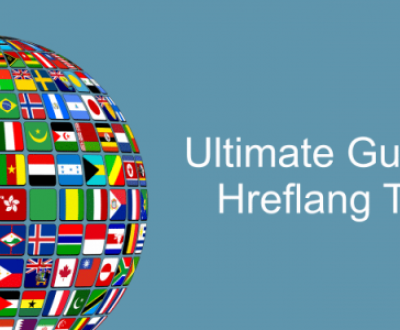 Hreflang Tags – The hreflang tags attribute (also referred to as rel=”alternate” hreflang=”x” ) tells Google which language you are using on a specific page, so the search engine can serve that result to users searching in that language. HTML – It’s the primordial language of search engines. (Hyper Text Markup Language) directives or “markup” which are used to add formatting and web functionality to plain text for use on the internet. HTML is the mother tongue of the search engines, and should generally be strictly and exclusively adhered to on web pages. HTTP – Hypertext Transfer Protocol. 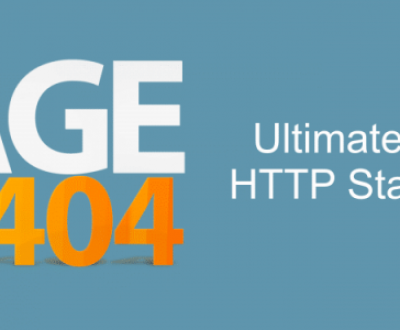 HTTP is the underlying protocol used by the World Wide Web and this protocol defines how messages are formatted and transmitted, and what actions Web servers and browsers should take in response to various commands. HTTPS – Plain old HTTP is not secure because it transports information in plain text. This means that anyone who intercepts the traffic can read it. … Essentially, they married a new encryption protocol named Secure Socket Layer (SSL) to the original HTTP. This became known as “HTTP over SSL” or “HTTP Secure”. Impressions – The number of times an ad is shown or a web page appears in search results are called impressions. Inbound Links – A link (hyperlink) that are coming to your website from another website. Indexation – in order for your webpage or website to rank it first needs to be crawled by the Search Engines and then appropriately indexed. Search Console breaks this down into pages and images. The process by which search engines jot done a website and every other webpage outside of it that refers to it using backlinks. Internal Links – Links that point to another web page on same website/domain. Jump Link – also known as anchor links, are links that take you to a specific part of a page, instead of the default top location. 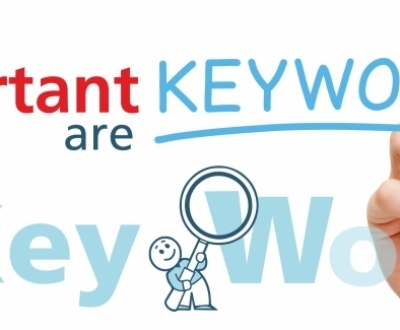 Keywords – These are the word strings that users input into search engines. These are either short tail (very general searches like “pizza delivery”) or long tail (more specific queries like “pizza delivery in Swindon”). Keywords are one of the most basic elements of SEO. Keywords are single words that a search engine user types into the search box to try to find what they’re looking for. Key phrases are the same as keywords except for the fact that they consist of two or more words. The most critical part of an SEO project is finding the right keywords. If you pick the wrong keywords, you’ll spend months working only to find that there is nobody who wants to buy your product. Search engine optimization is a popularity contest for keywords and this is a popularity contest you want to win. A word/phrase that a user types in the search engine is a keyword. Keyword Cannibalization – The excessive reuse of the same keyword on too many web pages within the same site. This practice makes it difficult for the users and the search engines to determine which page is most relevant for the keyword. Keyword Density – The percentage of time a keyword appears on a webpage as compared to the total number of words on that page. Keyword Research – A method of researching search terms (keywords) that reflect your website’s content so that your website can rank in search results. Keyword Stuffing – (keyword spam) Inappropriately high keyword density. KPI – Key Performance Indicators. No SEO would be complete without being able to measure what you manage. Setting a benchmark in your metrics allows for a visual improvement to be noticed month in, month out. For example, how many visitors have visited my website compared to the same period last year; or, the percentage change of visitors visiting my website by organic and direct traffic channels? Landing Page – A web page (destination page) on which a visitor arrives/lands after clicking a link on search engine optimized results or online advertisements (via social media or search engine marketing campaigns). Latent Semantic Indexing – (LSI) This mouthful just means that the search engines index commonly associated groups of words in a document. SEOs refer to these same groups of words as “Long Tail Searches”. The majority of searches consist of three or more words strung together. See also “long tail”. The significance is that it might be almost impossible to rank well for “mortgage”, but fairly easy to rank for “second mortgage to finance monster truck”. Link Building – Link building is the catch-all term for any effort done to connect pages through hyperlinks in and out of a website for referential SEO purposes. Link building is the practice of obtaining links from external websites to your own in order to improve traffic and search engine rankings. You can also link build with paid links and reciprocal linking, which some feel are more effective. Whichever way you do it, as long as its legal, it is one of the most important and beneficial aspects of any SEO campaign. A process of creating backlinks that point to your website – this increases conversions and brand awareness. Links – these can be internal, external, Follow and NoFollow too. An element on a web page that can be clicked on to cause the browser to jump to another page or another part of the current page. Link Bait – A webpage with the designed purpose of attracting incoming links, often mostly via social media. Link Building – actively cultivating incoming links to a site. Link Exchange – a reciprocal linking scheme often facilitated by a site devoted to directory pages. Link exchanges usually allow links to sites of low or no quality, and add no value themselves. Quality directories are usually human edited for quality assurance. Link Juice – (trust, authority, PageRank). Long-tail Keywords – Search phrases that contain 3 or more words are referred to as long tail keywords. Link Spam – (Comment Spam) Unwanted links such as those posted inuser-generatedd content like blog comments. Link Text – (Anchor text) The user visible text of a link. Search engines use anchor text to indicate the relevancy of the referring site and link to the content on the landing page. Ideally, all three will share some keywords in common. LSI – LSI stands for Latent Semantic Indexing. LSI keywords are synonymous words that help to repeat a keyword multiple times and hence make content look more natural. Meta Data – relevant data that the Search Engines pull through to rank your website. Can be in the form of content, keywords, titles and headings. Meta Description – These are descriptive snippets that show up in your Google search results for each page of your website as a sort of introduction on what to expect about your webpage. Meta description, an attribute of Meta tags, is a concise explanation of the content of a web page. Meta descriptions are seen in search results as a part of search snippets. META Tags – Statements within the HEAD section of an HTML page which furnishes information about the page. META information may be in the SERPs but is not visible on the page. It is very important to have unique and accurate META title and description tags, because they may be the information that the search engines rely upon the most to determine what the page is about. Also, they are the first impression that users get about your page within the SERPs. Metrics – SEO metrics take information out of Google Analytics to monitor all the work you’ve done. Moz – is a software as a service company based in Seattle that sells inbound marketing and marketing analytics software subscriptions. NAP – Name, Address and Phone Number. Used in conjunction with citations to build your website’s credibility online. Negative SEO – Negative SEO is used to lower the competitors’ websites’ credibility and ranking. Niche – In line with focusing on specific targeted keywords, SEO efforts have to also focus on content that is specific to a website’s industry; sticking to a niche means exactly this—giving focus on a specific industry in any form of content. Niche is used to specify the category or a subset of market-related to your products/services. NoFollow Tag – Nofollow links instruct search engine bots do not count them and thus they do not help to boost ranks. A command found in either the HEAD section of a web page or within individual link code, which instructs robots to not follow either any links on the page or the specific link. A form of link condom. Noindex – A command found in either the HEAD section of a web page or within individual link code, which instructs robots to not index the page or the specific link. A form of link condom. Non-reciprocal Link – if site A links to site B, but site B does not link back to site A, then the link is considerednon-reciprocall. Search engines tend to give more value to non-reciprocal links than to reciprocal ones because they are less likely to be the result of collusion between sites. Off-Page SEO – refers to techniques that can be used to improve the position of a web site in the search engine results page (SERPs). Many people associate off–page SEO with link building but it is not only that. On-Page SEO – You may hear this phrase mentioned quite often in relation to off-page SEO. So let’s distinguish between the two. On-page SEO refers to the text and content on your website pages. This includes editing your page and content with keywords so that the search engines can rank your page well and funnel traffic your way. Off-page SEO refers to the text and backlinks from other website pages to your website pages. This is nearly impossible to completely control as you can’t factor in every single site that is linking to your content via their blog and website. 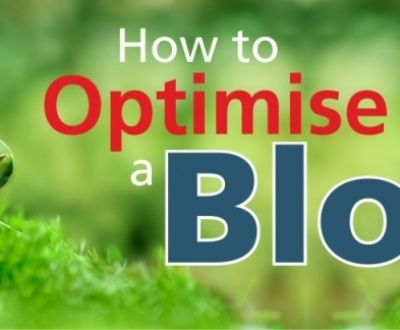 Optimisation – the process of improving both your technical and on-page content to rank higher. Organic Search Results – Organic search is the natural, unadulterated, and unpaid flow of a user’s search engine experience. Search results which are unpaid and organized by relevancy are organic/natural search results. Outbound Links – Links which go to another website from your website are called outbound links. Outreach – The goal of SEO outreach is link building — that is, creating backlinks to the company website that enhance its organic visibility on Google and other search engines. Page Rank – Page Rank is specifically a function of Google; it’s sort of their scoring system in determining how a website fares. This is considering all the categorical filtering it goes through as web pages are crawled and indexed. PageRank, a link analysis algorithm, is a measure of a web page’s popularity in terms of the number of links directing to that page from other websites. Page Score – Page Authority (PA) is a score developed by Moz that predicts how well a specific page will rank on search engine result pages (SERP). Page Speed – is a measurement of how fast the content on your page loads. Penalty – used by Search Engines to score you down for not conforming to best practice. For example, Google uses Panda, Penguin, and Pigeon. See Algorithms. A negative impact on a website’s rank in search engines for doing spamming or using manipulating methods is known as a penalty. Pingdom – Monitor your website’s availability and performance for free with Pingdom and always be the first to know when your website is down. Power Page – is a type of content strategically designed to attract links, social shares and search traffic to fuel your SEO campaign. It also has a high likelihood of going viral. In other words, it’s designed to be a link magnet to hopefully achieve first page Google rankings. PPA – (Pay Per Action ) Very similar to Pay Per Click except publishers only get paid when click-throughs result in conversions. 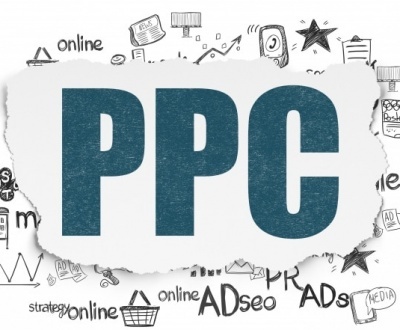 PPC – Also known as Per-Per-Click advertising, PPC is an internet advertising model in which advertisers pay hosts only when their ad is clicked. With search engines, advertisers, meaning you, will bid on keyword phrases relevant to your target market. When your keyword phrase is queried by a searcher, your ad pops up in the paid search column on the right. Pay Per Click (PPC) is a type of paid advertising where the advertisers have to pay only when a user clicks on their ad. Quality Content – The mindset of how SEO must be; it doesn’t matter how many links you build, it matters more if they are relevant, unique, fresh, and original. Always try to infuse quality over quantity whether it’s about content or link. Query – Query in SEO refers to the words or phrases a person types into a search box. For example, when I needed a word for the letter Q, I went to Google and typed in ‘SEO glossary’. That example is an example of a solution for writer’s block. Ranking – Ranking is the position that a webpage has in the search engine results page (SERPs). It is pertinent to the keywords of the said webpage that’s being optimized. Reciprocal Link – (link exchange, link partner) Two sites which link to each other. Search engines usually don’t see these as high-value links, because of the reciprocal and potentially incestuous nature. Redirect – To change the address of a landing page or to move visitors/search engines to a different page, redirections are used in SEO. Rich Snippets – how data is displayed with a SERP. Robots.txt – Search engines such as Google have web robots, or programs, crawling the internet to index web content. A robots.txt file restricts access to your site by search engine robots that crawl the web. You need a robots.txt file only if your site includes content that you don’t want search engines to index, i.e. admin pages, sensitive information, etc. You do not want to restrict access to your entire site, otherwise, you will be invisible to all search engine rankings. In order to use a robots.txt file, you’ll need to have access to the root of your domain. 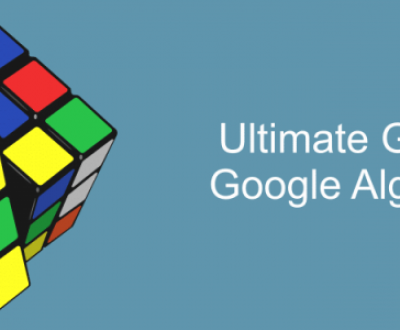 Check out this great Google Webmaster Central resource for more information. Robots.txt file is used to tell search engine spiders that which web page of your website should be crawled and which should not be crawled. ROI – Return On Investment. If your revenue is higher than your spend, then you’ll get Return on Investment (ROI). One use of analytics software is to analyse and quantify the return on investment, and thus cost/benefit of different schemes. Sandbox – There has been debate and speculation that Google puts all new sites into a “sandbox,” preventing them from ranking well for anything until a set period of time has passed. The existence or exact behaviour of the sandbox is not universally accepted among SEOs. Search Console – is a no-charge web service by Google for webmasters. It allows webmasters to check indexing status and optimize visibility of their websites. As of May 20, 2015, Google rebranded Google Webmaster Tools as Google Search Console. Search Engine – (SE) a program, which searches a document or group of documents for relevant matches of a users keyword phrase and returns a list of the most relevant matches. Internet search engines such as Google and Yahoo search the entire internet for relevant matches. Search Engine Optimisation – the process of increasing the number of visitors to a Web site by achieving high rank in the search results of a search engine. The higher a Web site ranks in the results of a search, the greater the chance that users will visit the site. It is common practice for Internet users to not click past the first few pages of search results, therefore high rank in SERPs is essential for obtaining traffic for a site. SEO helps to ensure that a site is accessible to a search engine and improves the chances that the site will be indexed and favourably ranked by the search engine. Search Query – used to find a relevant webpage on the internet via a Search Engine. Schema – is code (semantic vocabulary) that you put on your website to help the search engines return more informative results for users. If you’ve ever used rich snippets, you’ll understand exactly what schema markup is all about. Screaming Frog – The Screaming Frog SEO Spider is a website crawler, that allows you to crawl websites’ URLs like a search engine, identify common errors and issues. SEM – Search Engine Marketing is the process of purchasing ad spots on Google’s Display Network so that users can find your website regardless of ranking but for a cost. Short for search engine marketing, SEM is often used to describe acts associated with researching, submitting and positioning a Web site within search engines to achieve maximum exposure of your Web site. SEM includes things such as search engine optimization, paid listings and other search-engine related services and functions that will increase exposure and traffic to your Web site. SEMrush – is a powerful and versatile competitive intelligence suite for online marketing, from SEO and PPC to social media and video advertising research. SEO – Short for search engine optimization. SERP – When a user enters a search term in the search engine, the presented list of web pages is called Search Engine Result Page. sFTP – FTP, or “File Transfer Protocol” is a popular method of transferring files between two remote systems. SFTP, which stands for SSH File Transfer Protocol, or Secure File Transfer Protocol, is a separate protocol packaged with SSH that works in a similar way over a secure connection. Sitemap – used to crawl and index your websites’ assets onto the internet. A sitemap is a map of a website that informs search engines as to what pages on a website are available for crawling. A page or structured group of pages which link to every user accessible page on a website, and hopefully improves site usability by clarifying the data structure of the site for the users. An XML sitemap is often kept in the root directory of a site just to help search engine spiders to find all of the site pages. SMM – (Social Media Marketing) Website or brand promotion through social media. Social Media – Social shares are considered as the new form of link building. Thus, social media websites such as Facebook, Twitter, Pinterest, Google+ etc. have an indirect but a positive ranking impact on a website as they drive relevant and massive traffic. Social Media Marketing – (SMM) Website or brand promotion through social media. Spam – SEO techniques which violate search engine’s terms are perceived as spam. Spider – Spiders crawl websites to index them in the search engine’s database. (bot, crawler) A specialized bot used by search engines to find and add web pages to their indexes. Structured Data – a markup language for SERPs. The term structured data generally refers to data that has a defined length and format for big data. Examples of structured data include numbers, dates, and groups of words and numbers called strings. Technical SEO – Search engines’ ranking algorithms are complex, evaluating hundreds of website factors when determining which keywords should rank for search queries. Technical SEO optimization tackles on-site issues that stop search engine spiders from crawling your website and potentially favouring your website. Title Tag – Titles are the tags that briefly describe a webpage; optimizing titles with keywords is important in improving a web page’s rank. The page title (also known as title tag) is a line of text in the HTML of a web page, summarizing what that web page is all about. It serves the following functions: • It tells visitors that they are in the right place • It is displayed in the browser title bar • It holds important keywords so that your page can be properly categorized by Google and the other search engines • It is displayed whenever someone bookmarks your site • Search engines usually use the page title as the heading of the search results. Title tags are part of meta tags. An SEO-friendly title should be keyword rich and meaningful. Trust Score – The trust score shows how trustworthy the page is and how many trustworthy sites link to it. Unethical SEO – This is otherwise known as black hat SEO. It’s any SEO effort that focuses more on getting around the search engine’s protocols to get high rankings. Black hat SEO uses unnatural, deceptive, and non-end-user-friendly means. Unique Visitors – An individual user (with a unique IP address) who visits a website. URL – Uniform Resource Locator. For example, your website address. URL, or Universal Resource Locator, the address used by a browser to locate a certain piece of content. There are two different types of URLs – static and dynamic. Dynamic URLs have random characters like ?, =, &, or $ in the query string. These are not SEO-friendly. Clean URLs are URLs that do not contain any strange characters like ?, =, &, (, ), or $. Don’t confuse a clean URL with a properly optimized one, though. While a clean URL can be easily read, it doesn’t tell the search engines anything about your website. Search Engine Optimized URLs actually contain some keywords. A unique web address for every website. An SEO-friendly URL should be clear and meaningful. User-generated Content – (UGC) Social Media, wikis, Folksonomies, and some blogs rely heavily on User Generated Content. One could say that Google is exploiting the entire web as UGC for an advertising venue. UX – User Experience refers to a person’s emotions and attitudes about using a particular product, system or service. It includes the practical, experiential, effective, meaningful and valuable aspects of human-computer interaction and product ownership. Viral Marketing – Viral marketing refers to marketing techniques that use social networks to increase brand awareness or to achieve other objectives via video clips, interactive games, advergames, ebooks, brandable software, images, or text messages. For example, Doritos is a perfect example of how to run a viral campaign. In the past, among other things, they have called upon brand fans to produce their own commercials. The winner’s entry was aired during the Super Bowl XLIX between the Pittsburgh Steelers and Arizona Cardinals. This photo was taken in downtown Sao Paulo, Brazil where a viral marketing campaign suspended a giant bag of Doritos (3 meters tall and 132 kg in weight) and simply asked its target audience to guess the number of chips in the bag on the Doritos website. The most explosive method to promote a brand. It encourages an individual to pass a message to an enormous amount of people. Visibility – how easy it is to find your website. Visits – Number of users who come to a website and proceed to browse it. Voice Search – Is a search input method using your voice. Just call out “Google” on your android, say your query out loud and clearly, and wait for your results. White Hat SEO – It’s the exact opposite of black hat, but more so, it’s the only way that SEO should be done: through honest means that focus on producing content that is relevant and creating web pages that have necessary elements and rich in substance. SEO practices which improve a website’s position in SERPs while staying within search engines’ terms of service. Widget – small applications used on web pages to provide specific functions such as a hit counter or IP address display. WordPress – a CMS used to create and display web pages on the internet. Considered one of the easiest to learn, edit and manage all the CMS frameworks available. Accounts for over 30% of the websites on the internet. An SEO-friendly open source blogging platform. XHTML – Extensible Hypertext Markup Language (XHTML) is part of the family of XML markup languages. It mirrors or extends versions of the widely used Hypertext Markup Language (HTML), the language in which Web pages are formulated. XML – Extensible Markup Language, that’s used to improve a website’s loading speed. The XML Sitemap is a piece of code that helps search engine, especially Google, index a website more easily. Yahoo – Yahoo is still one of the best web directories on the internet. They recently struck a deal with Twitter so that you can follow your Twitter feed on Yahoo’s interface while you are logged into your Yahoo! email account. Be sure to submit your website to Yahoo’s directory for SEO best practices, as Google is not the only search engine people use. Also, it has one of the biggest directories, i.e. Yahoo directory, to submit your business there. Yoast – one of the most popular SEO plugins used in WordPress. YouTube – The 2nd largest search engine that can drive massive traffic by doing video SEO there. YouTube Marketing – In and of itself, YouTube is a search engine on its own. It’s one of Google’s products for video sharing and is also a good way to market your business through the publishing of different video formats. Zombie Content – It’s as ghoulish as it sounds. Only a little ways from duplicating content, turning a piece of content into a zombie means rehashing the information again and again without better-added value (maybe not even looking at the issue from a different perspective). We hope that you have found this guide to the SEO alphabet useful and share, like or tag for future reference. If you wish us to include an additional term or phrase and elaborate on it with an example, please add your comments in the comment area below. Many thanks and we hope we have helped you on your way to becoming an SEO expert. If you wish to know more about our SEO alphabet or have a question you wish to ask, please feel free to comment here or contact us directly at hello@klctshirts.com or follow us on social media – Facebook, Twitter, Google +, Pinterest and LinkedIn.